This monting plate allows you to mount a radiator of the airplex modularity system or of the airplex radical/PRO/XT series into a PC case. To do so, a fitting hole has to be cut into the case, preferrably into the top cover. The mounting plate itself will then cover the edge and the radiator can be mounted underneath the cover using 120 mm fans. 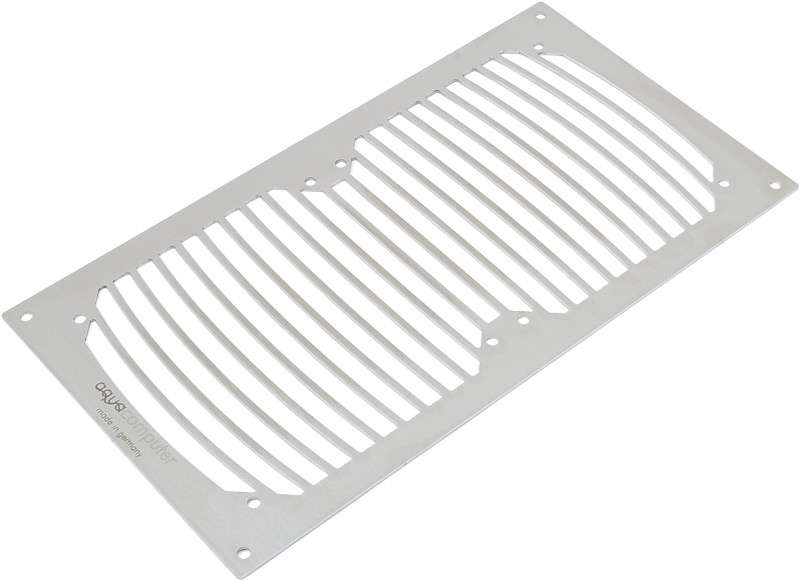 Alternatively, the mounting plate can also be used as an exclusive fan grille - without any radiator.